The Portfolio Committee’s Content Advisor provided a summary of the key financial and performance recommendations contained in the 2013/14 Budgetary Review and Recommendations Report, and described those that had been brought to the attention of the Minister of the Department of Agriculture, Forestry and Fisheries (DAFF), as well as to the Minister of Finance. It had been recommended that the DAFF Minister engage with the Minister of Environmental Affairs to consider certain provisions of the National Environmental Management Act (NEMA) and the Marine Living Resources Act that restricted the development of aquaculture and small scale fisheries, and the regulations that required veterinarians to obtain permits for rendering services to Threatened or Protected Species (TOPS), such as rhinos. The DAFF Minister had to ensure the development of a comprehensive plan that consolidated the conditional grants into a comprehensive one-stop-shop funding facility for presentation to the National Treasury. The plan had to include support for subsistence and smallholder producers in forestry and fisheries. The Committee had recommended that the entities under the Minister’s administration develop restraint of trade policies with the respect to the Agricultural Research Council (ARC), Onderstepoort Biological Products (OBP) and Fisheries Research, to protect intellectual property and prevent loss of critical expertise. It had also been recommended that the DAFF submit a report on the spatial analysis of agriculture, forestry and fisheries, which was important for identifying high potential agricultural land, potential areas for forestry plantations, and fisheries resources. It had to submit a comprehensive progress report on the revitalisation of irrigation schemes and Agricultural Colleges to the Committee. The Committee had also made recommendations for the attention of the Minister of Finance. It had felt the allocation to the OBP was not enough, because it operated on very old infrastructure and equipment, which constrained its ability to produce large quantities of animal vaccines for diseases of economic importance. The Committee’s 2015/16 strategic plan and budget vote report, the overview of its vote allocation and spending from 2011/12 to 2017/18, and its response to the issues raised by the Auditor General were covered, followed by an overview of the performance of the Department and its entities. There was relatively little discussion, with the focus on senior management vacancies and the cost of outsourcing auditing services. The Committee agreed on the recommendations and the proposed amendments. 2013/14 Budgetary Review and Recommendations Report Recommendations. Ms Nokuzola Mgxashe, Content Advisor: Portfolio Committee on Agriculture, Forestry and Fisheries, said the Committee had had concerns about the challenges that constrained the Department's performance and that had a negative impact. The committee had therefore made recommendations in 2013/14 for the attention of the Minister of the Department of Agriculture, Forestry and Fisheries (DAFF). The first recommendation had been to engage with the Minister of Environmental Affairs to consider certain provisions of the National Environmental Management Act (NEMA) and the Marine Living Resources Act that restricted the development of aquaculture and small scale fisheries; and the regulations that required veterinarians to obtain permits for rendering services to Threatened or Protected Species (TOPS), such as rhinos. 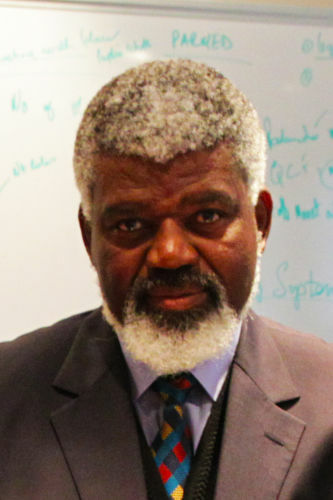 The DAFF Minister had to ensure the development of a comprehensive plan that consolidated the conditional grants into a comprehensive one-stop-shop funding facility for presentation to the National Treasury, as had previously been recommended by the Committee and the Financial and Fiscal Commission (FFC). The plan must include support for subsistence and smallholder producers in forestry and fisheries. The Department had reported continued engagements with National Treasury and the development of an integrated Funding model with the Department of Rural Development and Land Reform (DRDLR) and the Land Bank. It had also been recommended that the DAFF submit to the Committee before the end of November 2014, the report on the spatial analysis of agriculture, forestry and fisheries, which was important for identifying high potential agricultural land, potential areas for forestry plantations, and fisheries resources. A spatial analysis of forestry resources had been presented to the Committee in November 2014. The Department had reported that in 2014/15 a Preservation and Development of Agricultural Land Framework (PDALF) Bill had been developed and would be consulted with stakeholders in 2015/16. The final recommendation had been to submit a comprehensive progress report on the revitalisation of irrigation schemes and Agricultural Colleges to the Committee by February 2015. The Department had reported recently that an irrigation strategy had been developed and approved in 2014/15, and a progress report had been presented on the Taung/Vaalharts and Makhathini irrigation schemes. The Committee had also made recommendations for the attention of the Minister of Finance. The Committee had felt the allocation to the OBP was not enough, because it operated on very old infrastructure and equipment, which constrained its ability to produce large quantities of animal vaccines for diseases of economic importance. The National Treasury had responded that it would engage with DAFF in order to identify sources of potential savings which might be used to fund an increased allocation to the OBP. A funding allocation for operational activities had been proposed from 2015/16 going forward as well. The Committee had also endorsed and supported the FFC recommendations to consider the consolidation of budget allocations for the Department's conditional grants into one comprehensive fund that would be administered by one of the departments to minimise administration costs, ensure efficient spending, with better management and accountability for funds. The National Treasury had responded that it had initiated a process with DAFF and the DRDLR to reform agricultural grants, to achieve better outcomes and improve cost effectiveness. It had again emphasised the consolidation of the conditional grant and monitoring of the use of these grants in the provinces. The Committee also wanted to know how the grants were directed to FetsaTlala. It raised the issue of how the Department was addressing its budgetary use, setting targets, unreliable data and lack of source documents, as indicated by National Treasury and the Auditor General (AG). The Committee also recommended enforcing intergovernmental relations to avoid duplication of activities. It recommended that the Department ensured the committee’s continuous concerns regarding the alignment of services and activities between the Department, its entities, the provinces and other departments were addressed, to assist it with cost-containment measures and maximise service delivery. On some of the recommendations for the 2014 BRRR, the Department had highlighted that a monitoring framework for the Comprehensive Agricultural Support Programme (CASP) had been developed, but it had not submitted the requested report on the DRDLR's Animal and Veld Management programme and its linkage to the Departments' Land Care and other livestock programmes. The Department's budget allocation had been increasing exponentially across programmes in the previous Medium Term Expenditure Framework (MTEF) period from 2011/12 to 2014/15, but there had been a slower increase in the current MTEF period, with the budget allocation decreasing slightly for programmes 2 and 5 between 2015/16 and 2016/17. The budget would recover again in 2017/18. Most of the budget went to programme 2, which was agricultural production, health and food safety, followed by programme 3, food security and agrarian reform, and to some extent to programme 5, which was for forestry and natural resources management. The Department had received a clean audit for the 2014/15 financial year, but it should be noted that the Marine Living Resource Fund (MLRF) did not have an external audit. The quarterly briefing helped the Committee to see how the Department was doing on its expenditure, as well as if it would be able to achieve all its targets by the end of the financial year, and to make recommendations. The Committee had noted that during the first quarter, the Department was likely to spend the entire budget -- ideally 25% for the quarter. It had also noted that in the second and third quarter the Department had not done quite as well in achieving its targets because most work happened towards the end of the third quarter and the fourth quarter. The same trend had been observed between the third quarter of 2014/15 and the current quarter. On quarterly spending, from the two first quarters it had been noted that programme 3 had struggled to achieve targets, and the Committee had raised concerns about the 50% of targets achieved. The Committee had had a briefing from the Auditor General (AG) and a briefing with the Department. Although there had been some improvements with the findings from previous years, there had still been issues raised by the AG. The FFC had also raised issues on spending, particularly of the conditional grant. The Department did not monitor the money given to the provinces and it tended to rely on the reports from the provinces without finding out whether the information in the reports was true on not. The FCC had also raised concerned over the magnitude in the reduction in payments for capital assets for 2015/16 (31%) and 2016/17 (4%), and the impact the reductions would have on maintaining the sustainability and growth of the sector. There had been no clear planning on disaster financing arrangements, especially since some provinces were already suffering from drought. The Department had appointed an internal audit executive for the current year. The vacancy rate had declined. The vacancy rate had been higher at the senior management and skilled professional level. This was a concern raised by the AG as well. On employment equity, the Department had not met the target for female representation, especially at the senior management level. Females were still less than 50% and there was still less than 2% of people with disability. The Department had indicated that appointments would be taking place as soon as they were advertised, particularly for the Deputy Director General (DDG). In Programme 3, there had been an improvement in usefulness, but there was still a challenge with the reliability of the information presented. The Department had also presented the performance of conditional grants for 2014/15 The information that was presented had not been audited by the AG. On CASP, there had been some possible duplication of activities. The Committee had asked the Department to define a small holder producer, and to date had not received a clear definition. However, on conditional grants, the Department had previously alluded to the fact that trust funding was for small holder producers, and Ilima Letsema was for subsistence producers -- the latter being the poorest households. Feta Tlala had been indirectly directed to those that produced for household consumption when the Department presented the conditional grant report for both CASP and Ilima Letsema, and they had indicated assistance to small holders, subsistence and commercial. The conditional grants were never meant for commercial farmers. However, it was understandable that black commercial farmers actually had challenges almost similar to those of small holders, and sometimes even subsistence farmers. Some of them could not afford Land Bank and Mafisa loans. There had been complaints from farmers that the interest at Mafisa was quite high. Thus in this regard, the Department needed to clarify and differentiate the categories that had been given to these farmers. The Extension Recovery Plan (ERP) received its own allocation on all the other conditional grants, through Programme 3. However CASP also has an allocation for ERP, and the main concern was that CASP allocated 90% of its budget for ERP, whereas Feta Tlala was supposed to be the key intervention programme, particularly for production. These were some of the unclear and possible duplications of activities among the different conditional grants, hence the emphasis from the FCC to rather consolidate the grants and have clear terms of reference on who the grants were meant to support and what sort of support to be provided for each category of farmers. On job creation, 60-70% of the jobs created through the grants were seasonal/ or temporary jobs. The Department of Planning, Monitoring and Evaluation (DPME) had reported that the Department was not likely to meet its target by 2019. On management performance, the DPME was not happy with the DAFF’s performance for the 2014/15 financial year, particularly with the Department's addressing of matters associated with strategic planning, governance and accountability on internal audit risk management. The DPME had also highlighted non-compliance with legislation, Treasury regulations and the Public Finance Management Act (PFMA). It also said that the Department had an absence of evidence and late submission or feedback to policy departments. The Committee had therefore been advised to request the Department's improvement plan regarding its Management Performance Assessment Tool (MPAT) score for 2014/15. With the exception of the ECB and the MLRF, which both received clean audits, the Department's entities had received financially unqualified audit reports with findings from the AG for the 2014/15 financial year. The ARC had set itself 31 targets to achieve during the 2014/15 financial year and had achieved 23 (about 74%) which was a regression from the 2013/14 achievement of 78%. This was due to budget constraints and a shortage of technical expertise to finalise research projects. One of its achievements for the year under review was the development of a drought-tolerant maize cultivator named DroughtTEGO. Onderstepoort Biological Products (OBP) had planned for 30 targets and had achieved only nine, equivalent to 30% of the total, a significant drop from the previous year's 51%. Some of OBP's achievements included the value of vaccines sold to smallholder farmers, which was overachieved, as the target was R2 million and the entity received approximately R25 million. The National Agricultural Marketing Council (NAMC) had achieved 61 of its 64 planned targets (97%) which was a marked and commendable improvement from the previous year's 67% achievement. In the 2014/15 financial year, NAMC had received a governmental grant of R36 million and an additional income from external sources worth R40.8 million. In the year under review, the NAMC had established a Transformation Review Committee and had also received the 20% threshold for industry trusts. The entity had conducted research on the impact of climate change on the agriculture sector, with particular focus on the grain industry. It had also received an unqualified audit opinion, and the AG had highlighted that the NAMC, just like the ARC, would have received a qualified audit opinion but had been given an opportunity to make material adjustments to its financial statements. The FFC had raised a concern that agriculture in the country was too highly mechanised to be a job driver for low skilled people, as outlined in National Development Plan (NDP). However, jobs in agriculture were not expected solely from agricultural production, but from the entire value chain, particularly agro-processing. As most of the jobs created through conditional grants were seasonal, this puts the emphasis on the effective implementation of the Agricultural Policy Action Plan (APAP), which was one of the Departmental targets that had been set out in the MTSF towards realisation of the National Development Plan (NDP) objective. The revitalisation of irrigation infrastructure was quite vital. Mr L Ntshayisa (AIC), asked for clarity on the difference between an internal audit and a consultant. Mr Z Mandela (ANC) asked in what sense the impact on agricultural productivity could be measured on employment. On the vacancy rate that had increased, how did the Department intend to cap the vacancy rate with all the advertisements and the interviews that had been lined up? How low would the decrease in the rate be? He asked about the one million job creation target for 2030 -- what was the Department doing year by year? What was being done in line with the 2030 vision? The Chairperson said the issue raised by Mr Ntshasyisa was a concern; one of the entities had indicated they had established it was cheaper to outsource than to use internal audits. However, the government was trying to reduce the use of consultants -- it had to build its own capacity. She said the Department did not have an accurate plan to respond to the challenges of drought, and asked the Committee to make any recommendations in this regard as the meeting proceeded. Ms Mgxashe said on the issue of the impact of natural disasters on agricultural productivity and employment, unfortunately there was no specific survey that tracked every year. However, Statistics South Africa did have quarterly reports on employment which showed the trends, but the reports did not specify why there were such trends. It also did an annual assessment of how a sector performed, but if the Committee felt strongly about this issue, then the Department would be asked to commission this, for example for the impact of natural disasters on agricultural productivity and the sector to be tracked. Due to the Cabinet-approved reductions, compensation of employees was one of the areas that was going to be affected, and the Department had indicated that it would concentrate on the most important vacancies in terms of appointments. Ms Mgxashe said although the Committee had acknowledged the improvements the Department had made, it still needed to work more on addressing the prevention of unauthorised, irregular, fruitless and wasteful expenditure. The Committee had observed stability that had been brought to the fisheries industry following the public outcry on allegations of mismanagement in the 2013 fishing rights allocation process. It had noted with appreciation the progress made in the management and operation of the Department's fishing vessels. There had been a slow pace in the full integration of the fisheries management branch into the Department, particularly the Marine Living Resources Fund (MLRF), in order to minimise the duplication of roles, reduce administrative costs and ensure accountability. The slow pace of transformation across all three sectors was also linked to the inability of the Department to implement sector transformation charters and to ensure efficient utilisation of the AgriBEE Fund. Service delivery performance findings included the implementation of the small scale fisheries policy, which had started with the publication of regulations for consultation. There had also been progress on the implementation of aquaculture, which had been developed under Operation Phakisa, to increase opportunities for both coastal and inland aquaculture. The Committee had again identified intergovernmental collaboration and integration of activities between the Department and its entities among the entities and between the Department and the DRDLR, and between the Department and provincial departments, as areas that needed attention, as they negatively impacted service delivery. Policy coherence, baseline information and coordination in the implementation of interventions were needed. The Department’s system of monitoring and the impact of provincial projects that it funded were inadequate to provide information on the impact of the projects. Constraints were experienced in developing producers into the Department’s value chain, which was largely monopolised by big players. The Department's repeat findings from the AG, due to the poor monitoring and evaluation and internal audit functions, were attributed to the lack of skills capacity within the Department. The Department had made a commitment to address and follow through the commitments made to the AG and the Committee, which included youth mobilisation, improved governance and performance management. The FFC had observed that there had been some progress in the envisaged role of agriculture by the NDP in terms of job creation and economic growth, although it had been at a slow pace. Recommendations to the Minister of Finance included additional funding allocations for key priorities as identified in the APAP, to ensure the revitalisation of the agricultural, forestry and fisheries value chains, as interventions in these programmes played a central role in providing the much needed economic growth through smallholder producer development, as envisaged in the NDP. Funding for Strategic Infrastructure Project (SIP) 11 was key, as infrastructure development was essential for the implementation of the APAP. Also a funding allocation was required for the baseline information and farmer register for the smallholder sector, a full agricultural census, and an import and export system. The database was essential in order to effectively guide and manage interventions for the development and transformation of the sector, and to measure the impact of government interventions. The Chairperson said the word 'recommendation' should be rephrased, because APAP was a government programme. The officials should find a way to rephrase this to make sure that the Department of Agriculture finalised its funding needs. Ms Z Jongbloed (DA) said the report talked about stability in the fisheries industry. She had seen a lot of fishermen and many fisher communities, and they were anything but stable. There were a lot of problems still. She had asked the Committee a couple of months ago about the leader of the Helderberg Cooperative, John Pretorius, who had been caught poaching and had paid a fine. The DDG at the time had informed the Committee that this man would never be involved in fishing again, but he was still running a cooperative. There were many problems in the Helderberg area. She asked whether the Minister was aware of the financial implication of the cut in the Total Allowable Catch (TAC) for lobsters. On the point made about the outcry of allegations, these had not been allegations -- it was mismanagement, and a whole lot of other things. She wanted clarity on what measures had been implemented in this regard as well. She was concerned that none of the recommendations from the Emang Basadi Report had been made. Should the Committee not be asking the Department to bring permanency on the question of management of vessels? The contract to the South African Maritime Safety Authority (SAMSA) had been extended for another year -- should the Department not be making the decision about whether to replace the SAS Afrikaner, because millions of rands were being spent on getting private boat owners to go out into the ocean and do scientific research. The Chairperson said the Committee had gone to see the vessels. Two were operating, and the SAS Afrikaner had not been working. On the issue of allegations of mismanagement, it could not be said that allegations had been confirmed until people were charged and penalised. It was acknowledged that the Emang Basadi reports had not been properly coordinated, and the Department had been called. The Harrison report had directed the Minister to look further at how he was going to rectify some of the mistakes. The Emang Basadi report had been a response to the Harrison report, and so far the Minister and the team had indicated that before the allocations of the next plan, they should have dealt with all the challenges that were there in those areas. The Department had extended the contracts of all the people that were being contracted in the fishing industry. It had indicated that the regulations had been publicised, and the Committee had even sent its researcher to attend the meetings in Kofi Bay and Cape Town. Regarding SAMSA taking over the management of vessels, it had been indicated that SAMSA was an entity of the Department of Transport and therefore, because there were discussions through Operation Phakisa to get all the vessels to be run by Department of Transport, this was why the Department had agreed to use SAMSA. Mr C Maxegwana (ANC) asked if there were corresponding recommendations to the observations highlighted in the report. He suggested that the recommendations should be aligned with the observations by the Committee. Consider the recommendations in the 2015 budget vote report, as outlined in Section 3.2 of this report, on the strengthening of institutional arrangements and intergovernmental relations, and provide a progress report on these to the Committee by the end of February 2016. Address interdepartmental arrangements to ensure that the design and application of the policies and legislation enabled conservation and development to coexist. By the end of January 2016, submit to the Committee a plan on the alignment of activities between the Department and the Fetsa Tlala production initiative to ensure that one million hectares of fallow land was put under production by 2019. Ensure that entities under this administration develop restraint of trade policies specifically with respect to the ARC, OBP and Fisheries Research, to protect intellectual property and prevent loss of critical expertise. A draft report should be submitted to Parliament by April 2015. Provide a status update on the implementation of the Agriculture and Forestry Transformation Charters by February 2016, and the development of the Fisheries Transformation Charter by July 2016. Fast track the process to fully integrate some of the administrative functions of the fisheries branch into the National Department and the review of legislation regarding the MLRF Report to the Committee by the end of the 2015/16 financial year. Develop a preferential procurement plan for local agricultural products and encourage provinces and local governments to procure such products from developing farmers, and animal vaccines from OBP. The Chairperson said that in this regard, to be safe, the Department must come up with a plan that supported small holder farmers for access to markets through preferential procurement, and leave it at this without mentioning OBP. Submit a comprehensive progress report on the revitalisation of irrigation schemes, including the irrigation strategy as reported in programme 5, and revitalisation of agricultural colleges, to the Committee by July 2016. Prioritize and report on legislative and policy review programmes to ensure economic transformation in the agriculture, forestry and fisheries sectors, and increased contribution to job creation and poverty eradication. Submit to the Committee a progress report on the consolidated contribution of the Department to government priority outcomes 4, 7 and 10 targets, as stipulated in the MTSF 2014-2019. The report should be submitted by the end of August 2016.